Here is our section with reviews of Corfu. People who have actually visited Corfu write about their holiday experiences, what they did and saw there, their activities, where they stayed and give advice on things to do and to avoid. You have also visited Corfu? If you want to write a review about Corfu in our website, you first have to sign in (free) our community or just log in your account, if you are already a member. Before getting published, reviews have to be approved by our editing department. Any review with abusive or inappropriate language will not be published. Average	5/5 based on 64 ratings out of 64 reviews. After a complete renovation and many delays in opening the Archaeological Museum of Corfu has finally reopened its doors. Not huge but an interesting, well documented series of exhibits. It's better to travel around Corfu by motor, not car. The experience is totaly different. We stayed in Moraitika last year, so the prices for scooters were from 90 to 120 euros rent for the first 9 days in august. In 2015, in Ipsos, scooter rental was 50 euros for 7 days, but in September. Drive safely, very upside down roads from Paleokastrica to Sidari. A lot of mountains there. The roads are very good in the south of the island. Extremely crowded with people and tourists. Nice roads and vegetation. Also many nice beaches. The style of architecture is very similar to Italian, especially in the center. Take care with driving as traffic is very intense with locals driving fast. Many people think Corfu finishes at Corfu Town. But there are 40 kms south of it. So many people think that Kavos is the only resort south. We built in Vitalades/gardenos in 2006 after much deliverance about building. Best thing we ever did! We retire in 2015 and can't wait to move out there semi permanent. Lefkimmi still typical town unspoilt, 2nd biggest town on Corfu. Rick Stein did a program regarding the local produce used in cooking and excelled about the food locally. Petriti largest fishing port on the island, trawlers real ones catch fish that's distributed through out the island. Great local fish restaurants there. By charter to Thessaloniki, few days to see the town and then by bus to Corfu. There is a direct bus from Thessaloniki to Corfu. If you are staying far from the Town in Corfu, ask for transport from port to hotel because this is a very large island and taxis are very expensive. We were picked up to Benitses, in a comfortable and centrally-located hotel. We loved our first meal in a traditional fish tavern at the small port, followed by a nice walk. There are many shops and taverns in Benitses, it's hard to choose among them, we even found a Cuban cuisine restaurant. This place is ideal for families with a superb view to the sea. I was invited by a friend to his house in the picturesque village of Kassiopi in Corfu. I spent only few days there but I made some truly beautiful memories. It was a unique opportunity to see the historic villages of Corfu and the famous buildings which are world wide known. I remained speechless before the beauty of the Old Town, the paved streets and the old houses and the attractive Neoclassical buildings which stand proudly in the heart of the city. We had a delicious meal at a small local tavern that overlooked the bay of Mouragia above Faliraki, Corfu Town, I don't remember the name of the tavern but it was nice and cheap. Next to Pizza Pete I believe. Tried Sofrito, which is a local dish. Kassiopi is highly recommended for family vacation. Peaceful, the locals are very friendly and warm and the taverns serve the best Corfiot delicacies. The close beaches are very nice for swimming but too crowded for me. I found some beautiful souvenir shops selling creative art objects and local prouducts, Bought Mantolato for everyone back home! It is like pasteli with a slightly different taste. Would like to go back to Corfu for more days sometime. The Easter celebrations must be very nice, but I'm sorry I can't make this year. I had been to Corfu some time in my child years with family and friends. We all stayed at a Gouvia, a tourist resort, some miles away from the city. I remember vividly the small hotel with the large swimming pool. To my young eyes, the swimming pool was as large as the sea! The owners were just lovely and had a son at my age, so we frequently played together in the garden. Every night we went to a tavern and I remember some groups dancing Greek dances in strange costums. I won't forget how cold the water was in the beach, probably that is why I was crying my heart out to stay at the swimming pool. In the end, my cousins, a couple of years older, would take me by hand and play in the sand. If a kid doesn't want to swim, you can't persuade him without having other heads turn in the beach. Now fortunately I have solved this issue and enjoy as much as I can the Greek sea, nothing else like that in the world! I have more than 10 years to go to Corfu and truly miss it, I think returning there would be like returning to the happiest summers of my life. I am anxious to see and remember but I hope not to see many changes. Finally I got to visit Corfu with two friends of mine, on a summer week of August. A friend of ours, who lives there, was happy to give us a tour of the island and show the amazing beauties. Unfortunately, I will have to keep it as short as possible in order to avoid talking for hours. The historical center with the paved squares and the Venetian houses was a wonderful scene, something about Venice but without the canals. The old fortress that you might have seen in many photos or card postals is equally impressive offering a fantastic view to the town and the sea. There is a outdoor cafe there in the yard of the fortress with great view and some shade from trees. We walked between the narrow paved streets of the town many times, watched for hours the shops with the lovely souvenirs, local products and other interesting objects that remind you of Corfu. At night, we went to some great clubs and bars. Moreover, the island has been the perfect place to capture its beauty with hundreds of photos. Corfu has many types of beaches, from long sandy beaches to secluded ones that offer a lot of privacy. They are all impressive and you should definitely visit unless you can't stand the cold water. It is actually one of the main characteristics of the island, as most of the beaches are surrounded by steep rocks and the water is ice-cold, especially in Paleokastritsa. But the natural beauty is gorgeous, love AiGordis, Issos and Agios Stefanos. Corfu is the largest island of the Ionian Sea and one of the most beautiful destinations in Greece. I first visited the island 10 years ago but this time I felt the great atmosphere and the beauty of the island. Corfu is popular for its traditional cuisine and its musical tradition. Pastitsada and sofrito are among the most famous dishes of the island. 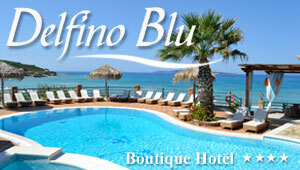 Most beaches in Corfu are large and fully organized, ideal for tourists who wish to spend luxurious vacation. Paleokastritsa is probably the most popular beach for its crystal clear water although it is quite small. The village is quite lovely with many hotels, bars, cafeterias and many tourist shops. Myrtiotissa beach is a paradise and it is considered to be one of the most beautiful beaches in Europe! The rough rocks covered with dense vegetation and approach the blue waters create a magic sight that you can never forget. It is the place that combines the wild natural beauty away from civilization, the right place for free camping. We actually stayed in the village of Pelekas, a picturesque village that stands on a hill. I loved the fact that it was not so developed as the other villages. However, it gets very busy mostly in July and August. Corfu town offers a fascinating mix of Greek, Italian and British architecture and the tourists can admire the buildings that have a great history. The most interesting monuments that you can see in Corfu Town are the Town Hall Square, the Ionian Academy as well as the Old and the New Venetian fortresses. In my opinion, Corfu is a gorgeous island that combines relaxation with an intense night life.